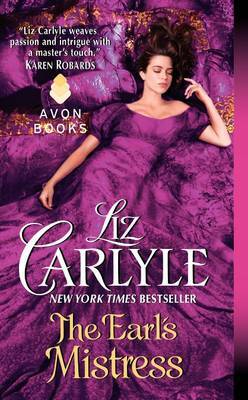 New York Times bestselling author Liz Carlyle creates her darkest, most sensuous story yet, as a delectable but desperate governess runs headlong into the path of a notorious rake Women rarely refuse the wicked Earl of Hepplewood, whose daring exploits are only whispered about. But when his new governess answers his proposition with a slap, then stalks out, references in hand, Hepplewood finds more than his face is burning. Isabella Aldridge has brains, bravado, and beauty-but the latter is no use to a servant. Her circumstances are desperate, and with Hepplewood's words ringing in her ears, Isabella realizes she must barter her most marketable asset ...her body. But when fate sends Isabella back into Hepplewood's arms, the earl must make an impossible choice-draw Isabella down into his sensual darkness, or behave with honor for the first time in his life.